Since the mid 1990's, Rocky Patel cigars have consistently remained one of the top selling premium cigar brands in the world. 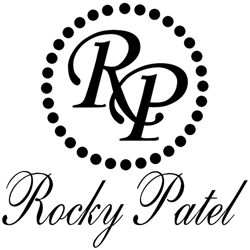 During a time when the cigar market was drastically changing, Rocky Patel worked in Los Angeles as an entertainment lawyer. Once he was introduced to the cigar world by a friend, he was instantly hooked. Today, the Rocky Patel line of hand-rolled premium cigars are some of the hottest brands on the market. Blending tobaccos from various regions is still a belief Rocky follows as an amazing cigar is produce as the end product. Every Rocky Patel premium cigar is individually created by hand at his factory in Nicaragua. Rocky Patel cigars come in ranges from medium to full-bodied, superbly constructed with complexes of flavors and burn qualities. With a consistency of scoring 90+ ratings in top industry publications, it’s no wonder Rocky Patel premium cigars are always in such high demand. Smokers Discounts believes you'll love Rocky Patel cigars. We’ve made it easy and affordable to buy these hand-rolled cigars online. A variety of sizes and flavors are listed below in our online cigar store. Each of these styles are in stock and available today for a low discount price. Call us for more details!